The Min­nesota BioBusiness Center is a mixed-use office building that serves as an incubator for private research-and-development companies to promote biotechnology development and research in southern Minnesota. 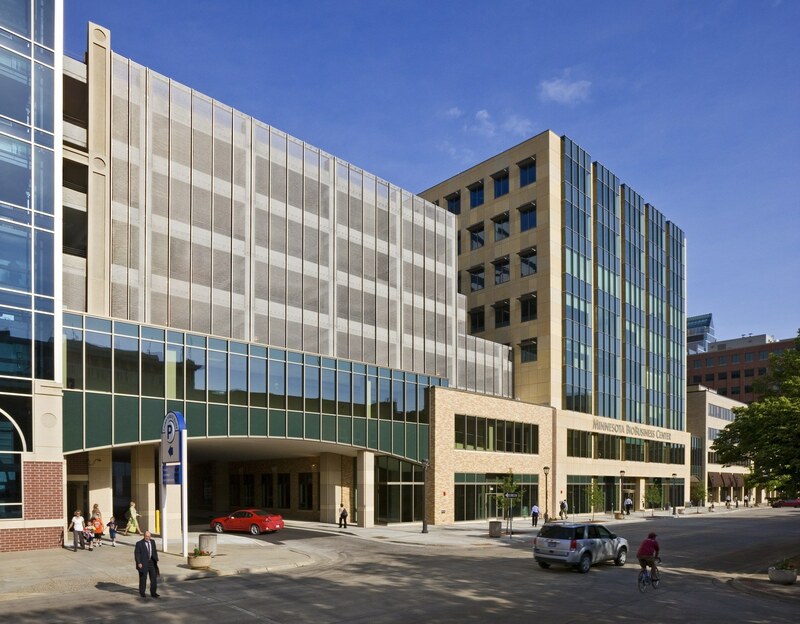 Flexibly designed to accommodate various business configurations and technologies, the nine-story, 150,000-SF building includes seven floors for Mayo Foundation for Medical Education and Research, two floors for private biotechnology and medical device companies, skyway connection to downtown buildings, and ground-level retail. Up to five additional floors can be added as needs arise.